Although originally designed for and by an SEO agency, the raven tools suite has now grown to include an advanced set of tools for internet marketing enthusiasts. It is a fully hosted web app, whose biggest strength is the fact that it offers a large amount of third party tool integrations with which one can pull all their campaign data together. It has one of the most impressive interfaces, integrating data from Google analytics, producing good looking client reports quickly. When it was first released, the tool experienced a lot of updates and upgrades in quick succession. While this might not necessarily be the case, it is still upgraded on a regular basis. One of raven tools biggest offerings is the rank checking capability. In 2013, the company removed the rank tracking capability from the tool, much to the disappointment of most fans given the general feeling that this was one of the things they did better than the competition. Recently, though, the tool introduced some of the original rank tracking capability back. It is not exactly like the original rank tracking tool which was removed. It now uses data from Google Webmaster Tools through which it shows average rankings. This is one of a few tools that use data from this source commendable step especially considering the restrictions placed upon them by Google. The interface created to monitor the data they extract is impressive, and can easily be used to rank how well or badly one’s rankings are. Raven tools also offers link management, with the Pro version allowing users to manage up to 50,000 prospects. It also has a system that enables the user to add links to the link manager. One can use a chrome extension, click on the add link button after which a popup will open. Raven tools have however since discontinued their Firefox toolbar, which many found just as useful. Additionally, there is the useful contact finder, much like what other tools like Buzzstream have. This tool takes up to a minute to run, scanning the whole site and before returning results. 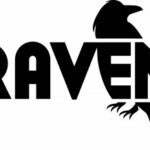 Raven tools also has a monitoring capability, keeping track of links and informing the user of cases where the links change, have been removed or if the owner adds a nofollow tag to reduce their SEO value. It also offers a link reporting module, useful for agencies that run link building campaigns and need monthly reporting on their link building activity. In the eyes of many SEO experts, there are some sections of SEO that simply cannot be automated properly. There is no too in the market that can claim to have automated, for instance, onsite optimization. However, raven tools does the next best thing, streamlining the process. The quality and design analyzer tools grade one’s website out of a possible 100 on the basis of SEO like heading tags, page download times and inline styles. It also has the useful site auditor, which crawls one’s site like Google would, looking for potential issues with architecture, errors and broken links. Raventools is effective in bringing users a mode through which they can be able to launch and manage an online campaign for marketing a site. With its interface and dedicated channels of operation, a user can effectively start and manage an online campaign successfully which is a major plus in the digital world of today. This tool is the best in the market for beginners. With an easy to master user interface and a regular systematic process of integration, users can boast having a tool that is easy to utilize especially for the individuals looking to start or master the ecommerce trade. This is one of the major upsides with using this tool. Raventools is able to collect keyword data from varied sources including but not limited to Google AdWords. With this data, the tool is able to establish the keywords that are making the profitable margins and those having the desired effect on the target market. With this data, it becomes easier for users to structure an online marketing campaign that is sure to raise the rankings and increase traffic. This is another significant plus with this tool since it enables users to outsource content and be able to structure a marketing campaign around the same. The integration process gives the tool the ability to have content that can be optimized to create the linkages that will drive traffic and increase rankings as a result. With this tool, users can have the chance to perform an analysis on their competitors and hence target the weak link in their strategy to ensure they gain maximum benefits from the alternate strategy they employ. 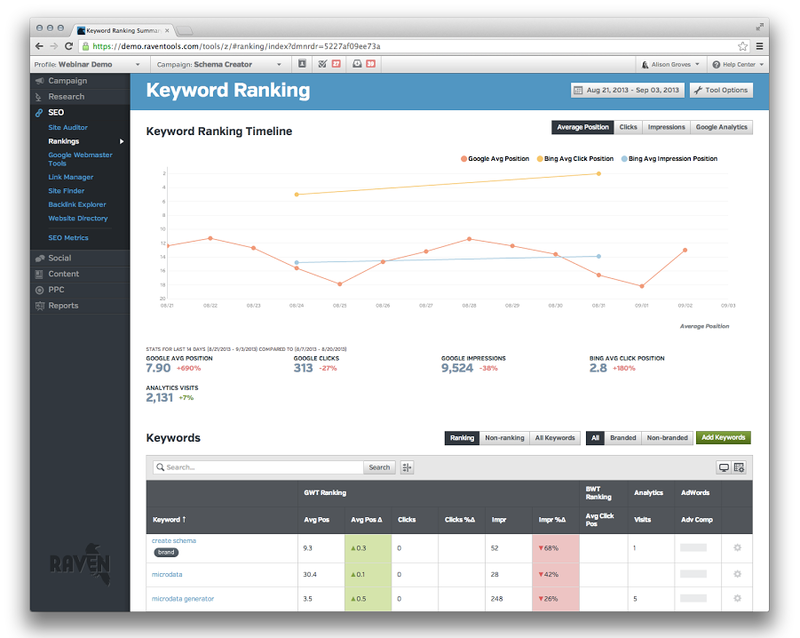 This feature works by analyzing websites and their effective use of the keywords. The data from this analysis is what enables a user structure an alternate approach for the marketing campaign they need. This is a particular upside to having Raventools since it is a tool that maximizes on ensuring a user is able to build links that will facilitate an assault on the ecommerce niche. Link building ensures that backlinks are structured that will create the traffic needed for the site the user desires. A user can be able to have a scheduled reporting and tracking process on keywords and the competitor performance on the same niche of keywords and phrases. With this factor covered, an effective campaign can be established that will yield feedback and steady traffic. Raventools offers users the chance to perform on-site optimization for the keywords and the online marketing strategy they need to employ. This is very instrumental in terms of its effectiveness and operational ease since it ensures users are able to save on time and resources not to mention the efficiency afforded. The major disadvantage with this tool is the failure of the quality analyzer tool in providing the data that can be utilized effectively by users. What the tool generates is negligible information that cannot transform the marketing strategy which is a pity. The contact finder feature is unstable in terms of its result presentation aspect. It can sometimes bring forth or fail to produce contacts to the sites and profitable links. The research and tracking feature is not in-depth which means that the results that are produced are mostly ineffectual and hence cannot lead to a substantial transformation of the ecommerce strategy that a user has already implemented. This is a peculiar disadvantage since Raventools ranks as one of the pronounced and significant online SEO platform that can be utilized to good effect.